Today is March 1st - I've been waiting for Autumn so that I could bring this baby out!! 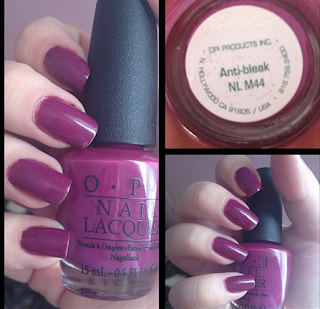 This is Anti-Bleak from the (somewhat) new Mariah Carey collection by OPI. This polish is a beautiful deep purple creme and only took two coats to become opaque. The polish is quite glossy on its own but I did add a top coat.